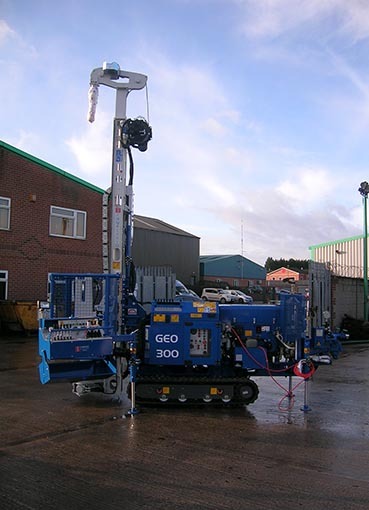 The GEO300 is a compact and versatile hydraulic drilling rig, mounted on a rubber crawler. It is suitable for geognostic-environmental soil investigations, corings, environmental drillings, small water wells and mini piling applications. This machine can operate all rotary drilling systems, D.T.H. hammers, coring and rotary percussive equipment. Individual specifications of GEO 300’s available for hire can be found below. Please call 01773 521 382, for availability and hire rates.